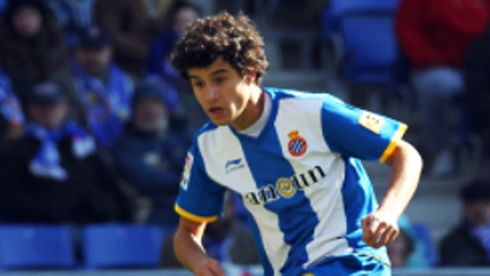 ﻿ Philippe Coutinho: "We have to find a way to stop Cristiano Ronaldo"
04.03.2012 » Philippe Coutinho: "We have to find a way to stop Cristiano Ronaldo"
Philippe Coutinho is ready to face Cristiano Ronaldo and Real Madrid this Sunday, as Espanyol prepares to visit the Santiago Bernabéu in another La Liga fixture. The Brazilian player admitted that his side's success on this game will be highly dependent on whether or not they manage to stop Cristiano Ronaldo, but assures he'll try to lead his team into the right direction. Real Madrid and Espanyol are expected to measure forces in the Santiago Bernabéu for La Liga, this Sunday night. 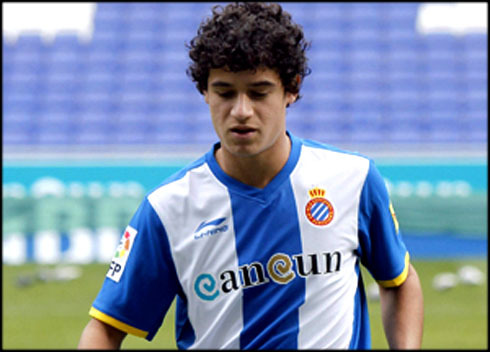 The Brazillian talent, Philippe Coutinho, joined the "Periquitos" side on loan from Inter Milan last January and hopes that his team may put a good fight against Real Madrid. For that to happen, Coutinho is well aware of the need to find an effective way to stop Real Madrid's star, Cristiano Ronaldo, and he left a sort of an appeal for his team's defenders to mark the Portuguese player very closely. 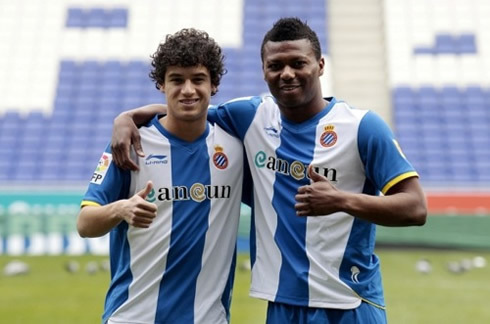 Espanyol is currently ranked 11th in La Liga with 33 points, but only 4 points away from 4th place, occupied by Malaga. 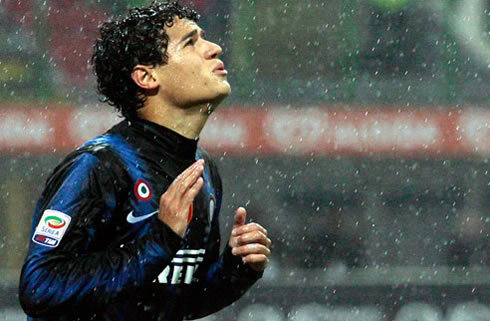 Philippe Coutinho, who is currently 19 years-old, arrived to Italy and Inter Milan in 2010, at a very young age. 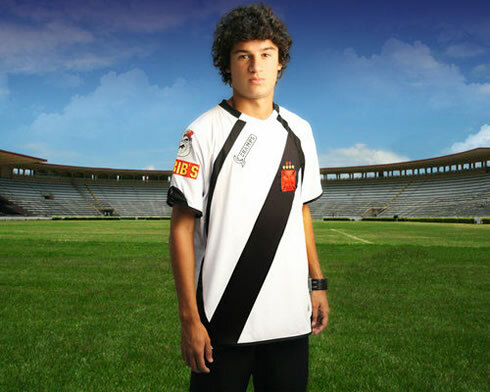 The Brazilian had 18 appearances for the "Nerazurri", from which he scored 2 goals for the club. 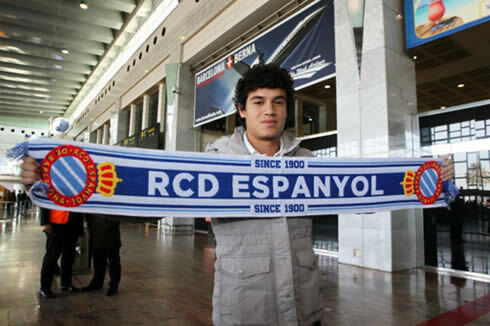 Last January, he joined Espanyol on a loan deal, hoping to be granted with more minutes on the pitch. Yet to score a goal in La Liga, Coutinho played in 4 games so far and hopes to leave a good impression this Sunday night, as Real Madrid hosts Espanyol at the Santiago Bernabéu. Coutinho: "It will be a complicated and really hard game for sure. We're doing a good campaign in La Liga, even though we lost some silly points recently. However, what matters is that we're still fighting for a UEFA Champions League spot. I've had the chance to participate in 4 games so far, but unfortunately, we didn't win a single one yet. Hopefully, our recent fate will change this Sunday", said the Brazilian player, born in Rio de Janeiro. Cristiano Ronaldo keeps leading the Pichichi ranking table, even though Barcelona won their game last night against Sporting Gijón by 3-1 at the Camp Nou, in a match where Lionel Messi didn't step on to the pitch because he was suspended for having seen 5 yellow cards in previous games. With 29 goals in La Liga, Cristiano Ronaldo actually has more goals than the entire Espanyol team, who only scored 27 times out of 24 games so far. Philippe Coutinho is well aware of the Portuguese player impressive stats and the need of stopping him this Sunday, specially after seeing that last goal that CR7 scored against Rayo Vallecano, from a magical back heel touch. Coutinho: "What a goal that was! We have to defend him without granting any spaces. We need to mark him closely and strongly. Hopefully, I may also be able to put on a good performance and help my team coming out of the game with a good result. I'm sure those guys from Barcelona would appreciate it", said Coutinho in good humor, knowing that Pep Guardiola's side will be eagerly waiting for Real Madrid to drop some points this Sunday night. 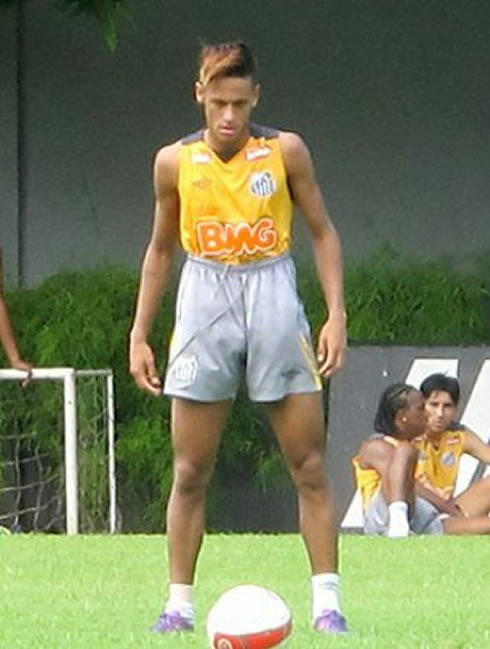 On a side note, we will post some new and funny Neymar photos below, taken this Saturday at Santos training session. Neymar showed once again his great sense of humor as he tried to copy Cristiano Ronaldo hairstyle and free-kick stance, during his team's relaxation/"chill out" exercises. Santos	will host the league leaders Corinthians this Sunday. 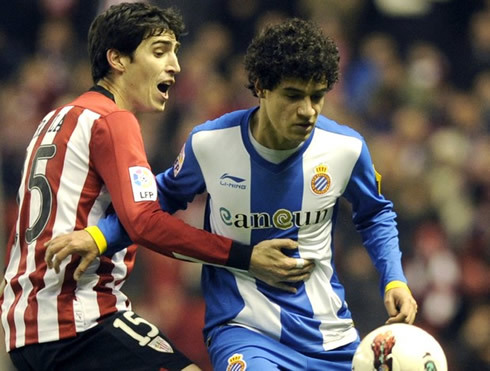 Real Madrid next scheduled game is against Espanyol for La Liga, on the 4th of March 2012. This weekend, you may also follow Real Madrid vs Espanyol live, Newcastle vs Sunderland, Tottenham vs Manchester United online and Roma vs Lazio, all scheduled to be played this Sunday and available from our football live streams section. Cristiano Ronaldo will certainly be on the line-up tonight against Espanyol.